Small delicate nerves responsible for erectile function run adjacent to the prostate. Trauma or injury to the nerves during surgery may result in impotence. 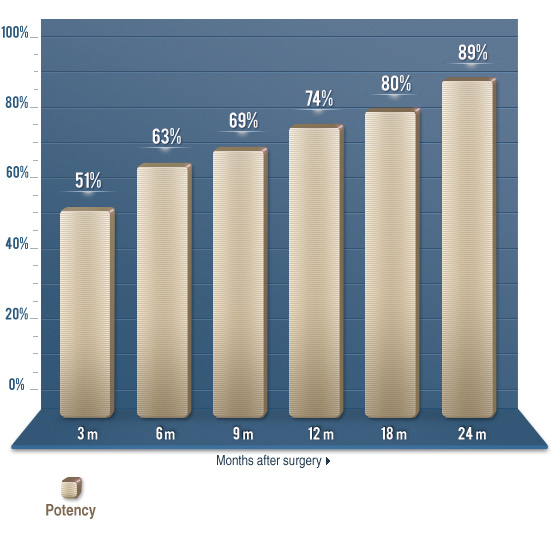 Below is our post operative potency data of ALL healthy patients less the 70 years old who were capable of sexual penetration preoperatively – (ASA 1 and ASA 2). Erectile function continues to improve with time. 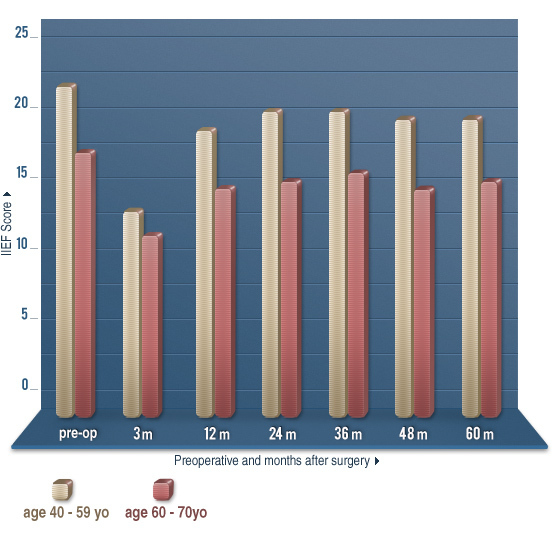 Two years after a robotic prostatectomy, 89% of this group of patients are capable of sexual penetration. RESULTS OF IIEF-5 The results below indicate most patients achieve preoperative erectile function quality.